Corpus Christi Garage Door Repair services Ingleside, TX and the surrounding communities for all their garage door repair and installation needs for both residential and commercial customers. After many years in the industry, we understand that your garage door isn’t something that you likely think about often. After all, it’s a utilitarian piece of your home that’s designed for one simple purpose. It wasn’t designed to be a visual centerpiece of your home. When you do start to consider your garage door, usually it’s because it isn’t working as well as it used to or something doesn’t look right about it. Working with our team, we’ll be able to inform you of the common problems that could signal that you need a new garage door if yours is getting a little too much attention from you, a family member, or perhaps even a neighbor. Think about the following garage door issues. Do you have loose cords hanging off of your garage door? While this may be easily fixed, it’s a common sign that the pulley system is failing. You may need a new garage door if you also notice that your garage door isn’t opening fully or the right way. If your garage door opens too slow, this could also be a sign. Sometimes the motor just needs to be replaced on an automatic, but in many cases, simply replacing the whole system is a better option. Usually when the motor starts to go, the door itself isn’t too far behind. 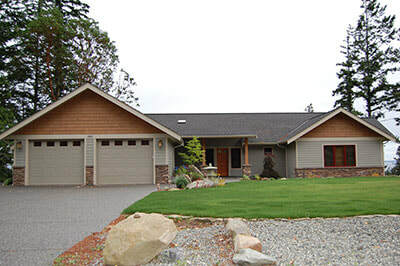 Of course, appearance and curb appeal is another factor that contributes to your decision to invest in new garage door installation. If your garage door is cracked, you’re not alone. This happens over time, and there’s no way to fix most wood garage doors once they begin to crack and warp. Replacement is generally the best bet. Along this same idea, major dents can also be an issue. While this might only be a cosmetic issue at first, dents do pose a structural problem for security. 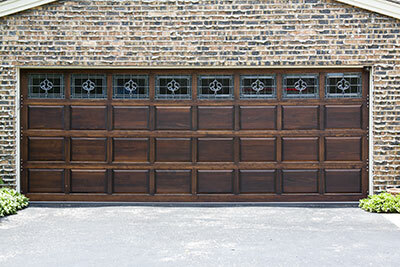 Replace the garage door before it rusts and becomes hard to remove safely. In addition to physical issues, you may notice some safety concerns. If you have strong draft that are coming in, around or through your door, it may need replacement. Weatherstripping works in some cases, but older wood garage doors sometimes just need to be replaced. You’ll also have the chance to update the way your home looks. Water coming in under or through he sides of your garage door can also signal a need for replacement. Sometimes you can fix this with weatherstripping, but old garage doors that are letting in water usually have structural problems. A new garage door is a better option that will ensure all your valuables are kept safe from the weather. Finally, if your garage door is making funny sounds or is uneven, chances are, replacement is necessary. Replacing the motor often works, but if you have an older door and pulley system, a new one entirely could be more cost-effective in the long-term. Uneven doors can also cause drafts and allow insects into the garage.